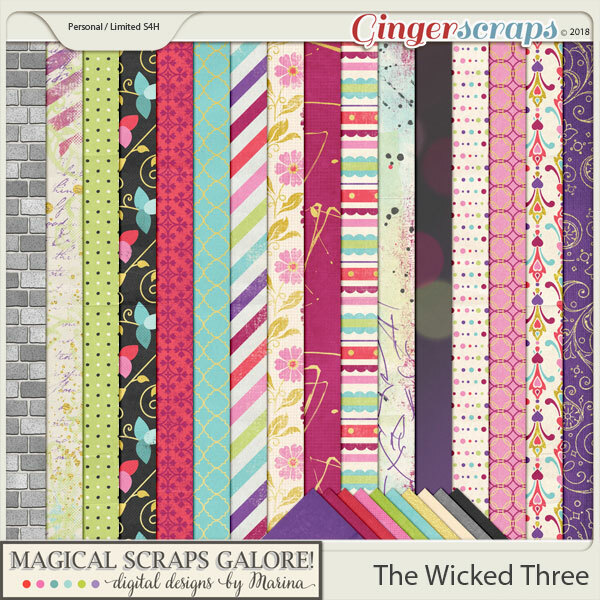 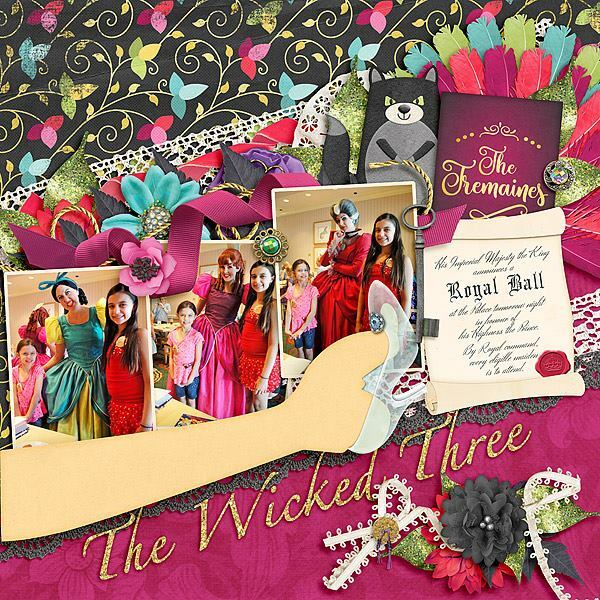 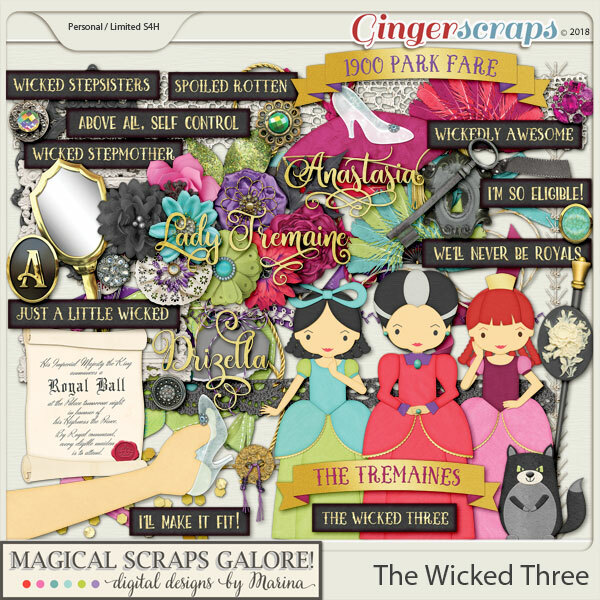 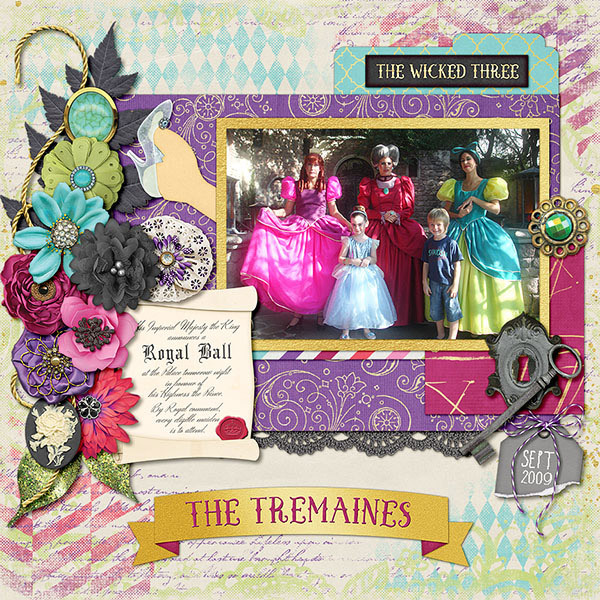 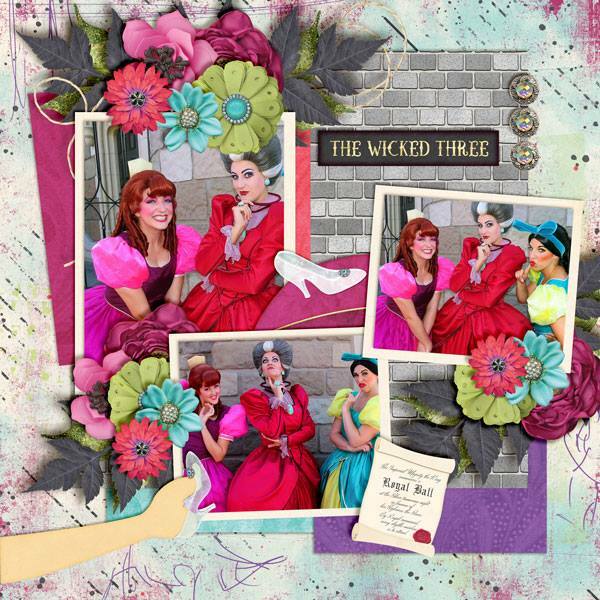 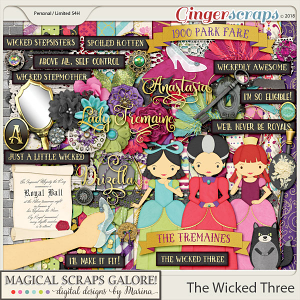 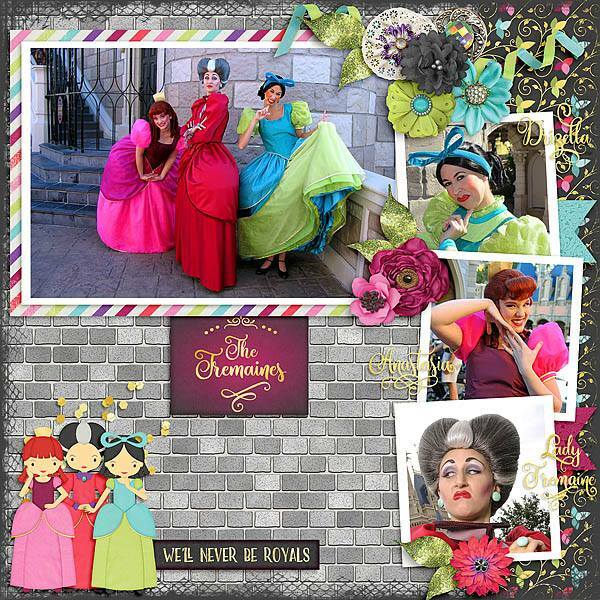 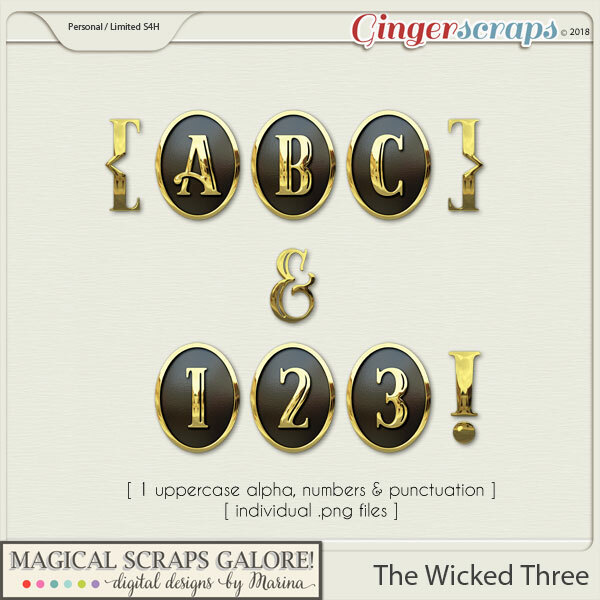 THE WICKED THREE is a fun magical collection inspired by the funniest villains ever: the Evil Stepmother and Stepsisters. 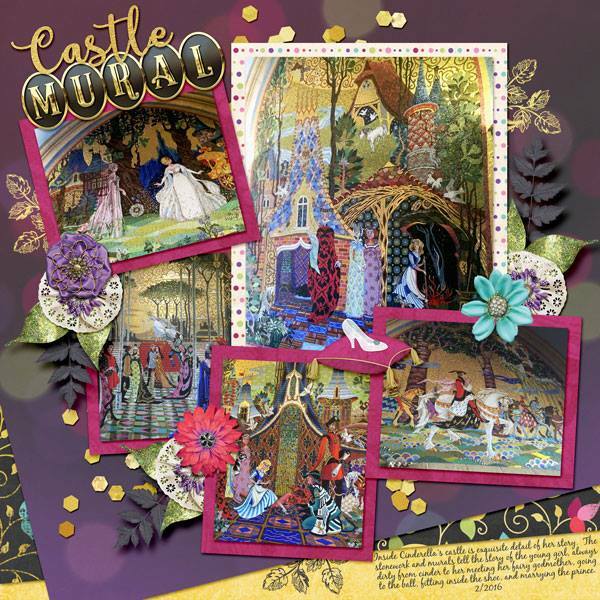 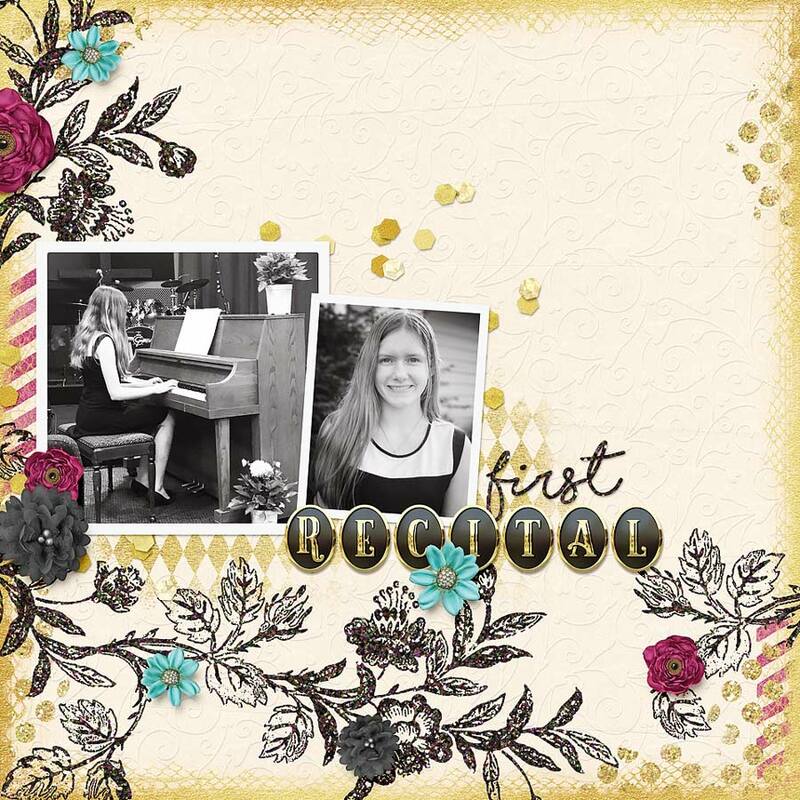 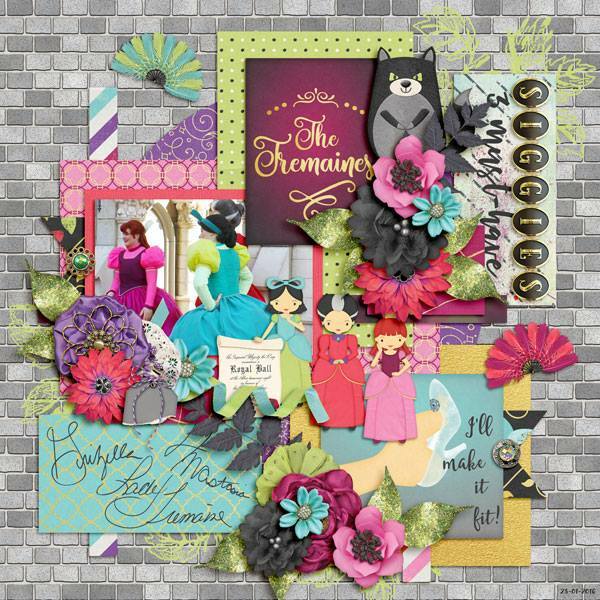 In a beautiful bold color palette, this gorgeous design features wonderful patterns and themed elements such as the three Tremaines, Lucifer the cat, the crystal slipper, an invitation to the Royal Ball, feather fans, beautiful flowers and word bits, among many other fabulous patterns and goodies. 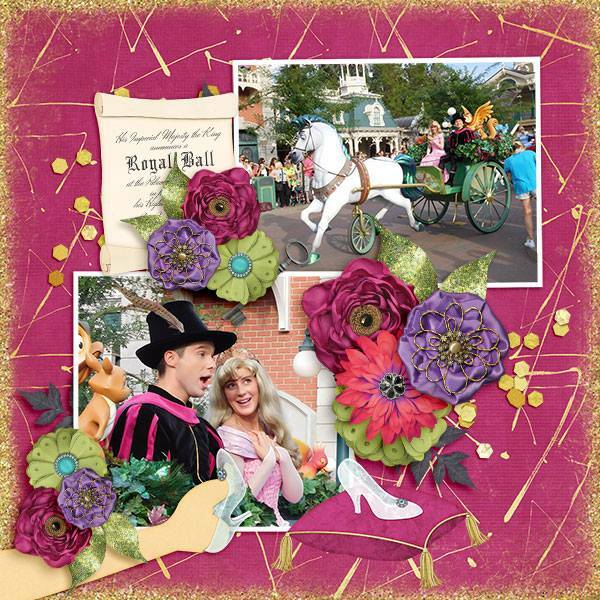 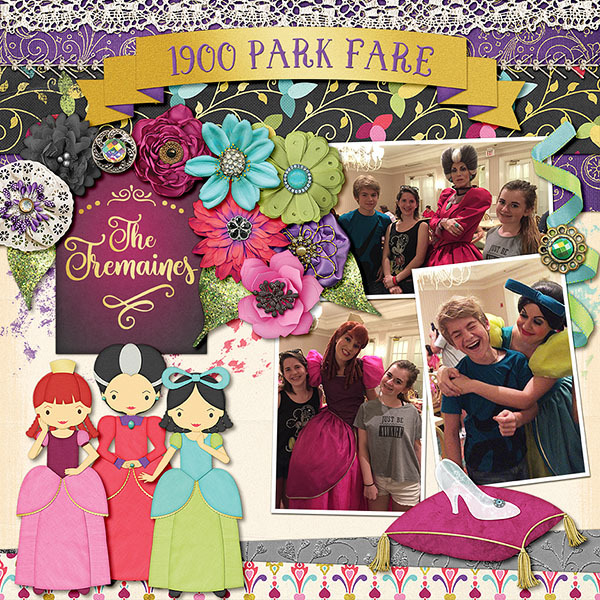 This collection is perfect to document character meet and greets, parade pictures, Halloween photos, and so much more! 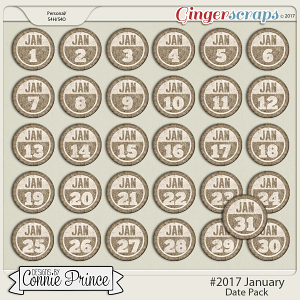 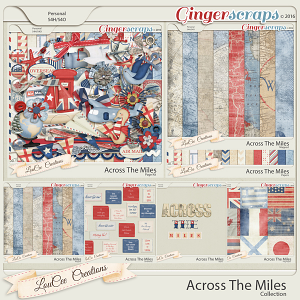 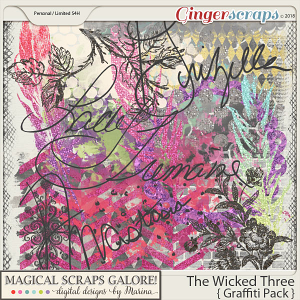 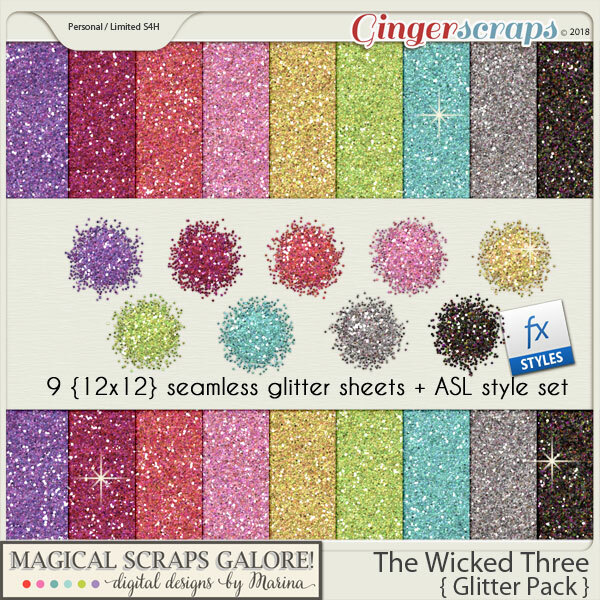 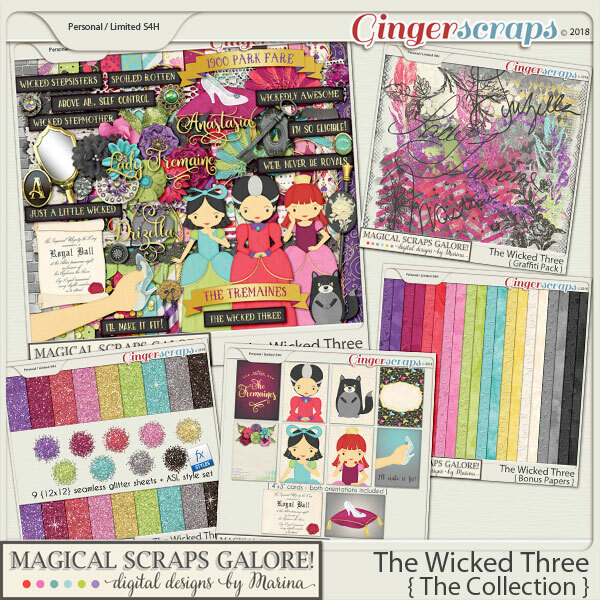 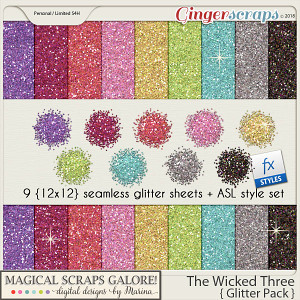 This bundle includes the page kit with 10 solids, 16 beautifully patterned papers, one full alpha and 68 unique elements; the graffiti pack, glitter pack, journaling cards, and bonus papers set, all bundled up for great savings! 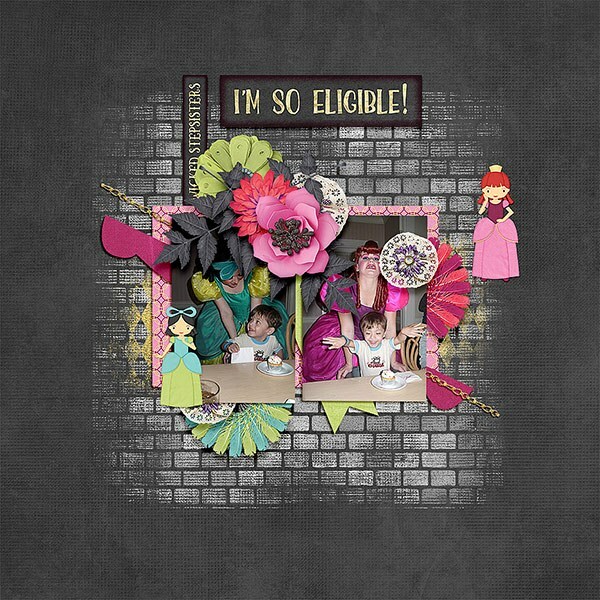 Please see individual products for further descriptions.